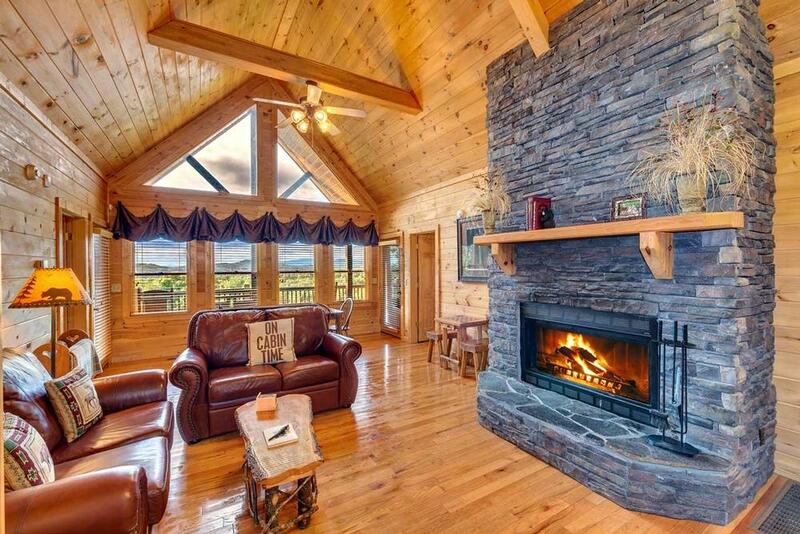 If the magic hour is your favorite time of day, then this North Georgia cabin rental was named just for you. As its moniker suggests, sunsets are simply spectacular here at Sunset View, and you’ll have magnificent long-range mountain views both inside and out. This is a place to do as you please without rushing or watching the clock. Sunset View is warm and inviting, tastefully decorated with hand-carved furnishings, leather furniture, and wildlife-themed accents woven throughout the home, from the bedding to the artwork, lamps, rugs, the faux bear throw, mounted deer head and more. The main floor boasts an open floor plan allowing everyone to spend time together, so you can be in the spacious kitchen preparing a meal and not miss a moment. 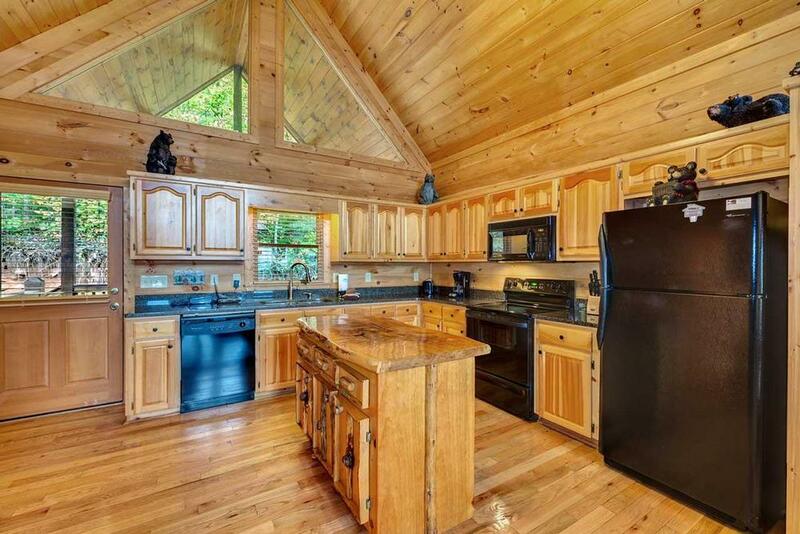 And with high ceilings and exposed beams, the huge mountain vistas from every vantage point will not disappoint. 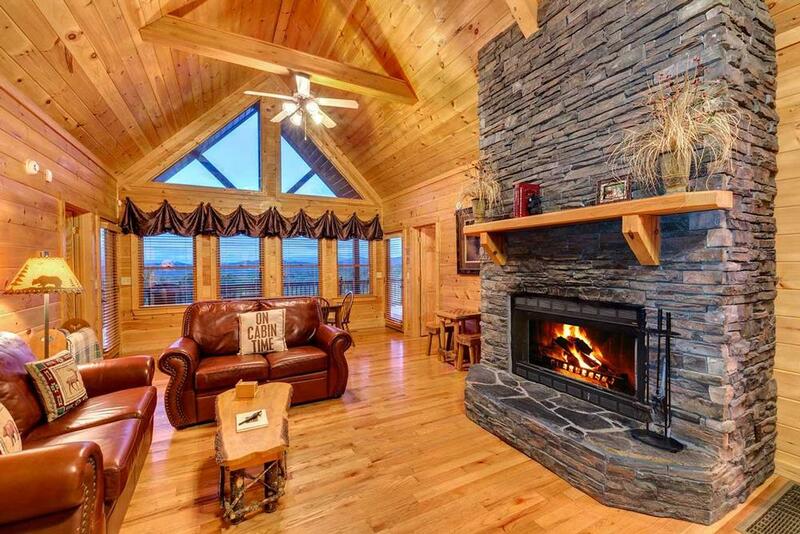 Here, home is where the hearth is – keep cozy by the cabin’s two huge stacked stone fireplaces, one serving as the centerpiece of the great room, the other out on the deck. Settle into one of the leather sofas with a fleece blanket and cuddle by the fire. Or bring a glass of wine out to the double rocker to watch twilight skies turn from bright blue to shades of pink, orange and violet, as you’re warmed by the outdoor fireplace. If you have kids or are just a kid at heart, the game room is sure to please. Play pool, air hockey, foosball, poker, or arcade games and create some new records to break! You can play for hours all while watching the game on the 60" big screen. 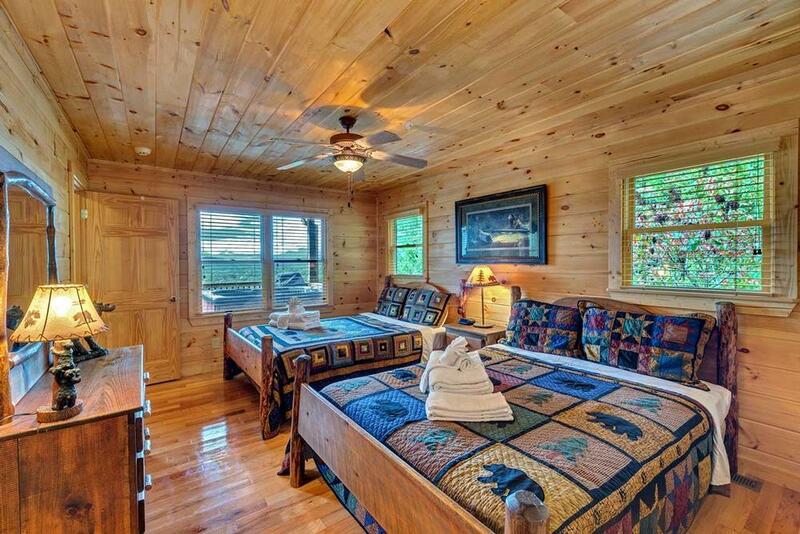 After gazing out at starlit skies, choose one of the cabin’s three elegant bedrooms. The master bedroom on the main floor is just that – masterful. 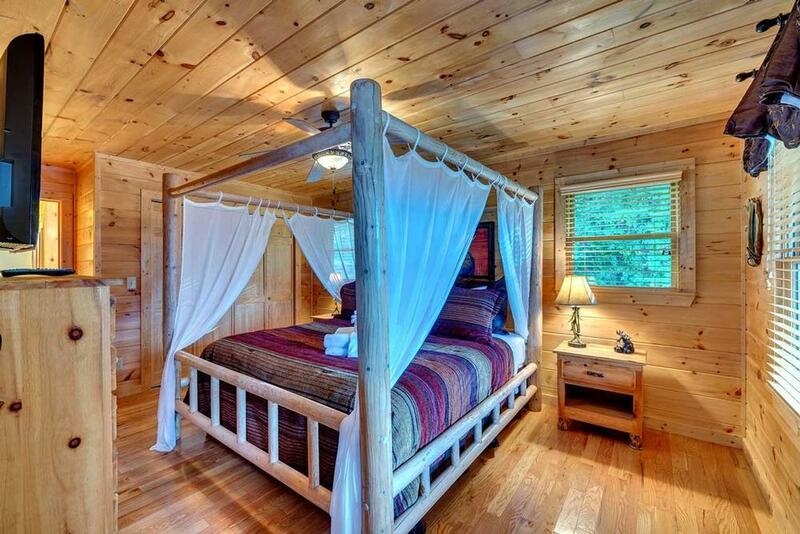 Awake to huge mountain views from the king-sized canopy bed from this romantic master suite. Guests will delight in the two queens in the main floor’s guest bedroom or the queen bedroom downstairs, charmed by each room’s hand-carved custom furniture and rustic bedding. They too will awaken to breathtaking views that will stay with them for years to come. Make the most of being “on cabin time” at Sunset View. 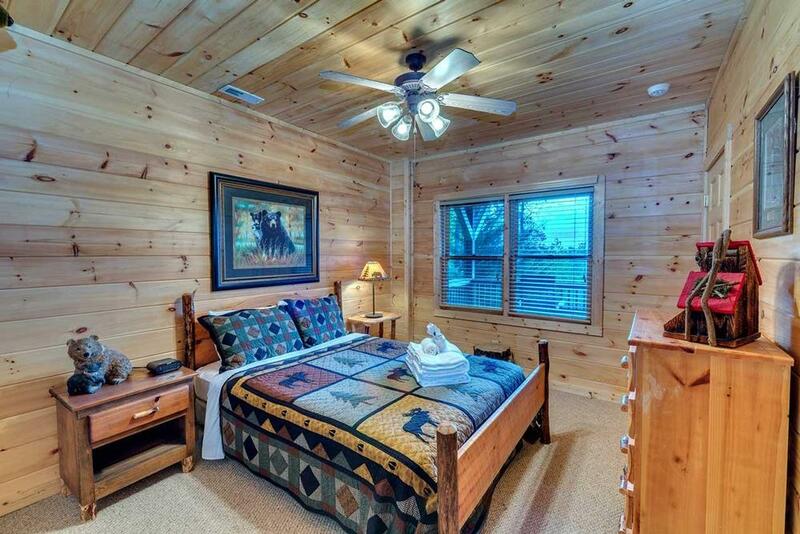 Sleep in, take your time, and see the sights at your own pace while at this peaceful, relaxed home away from home. The days are all yours for spending however you’d like. 01/19 - The view was incredible, and the outdoor fireplace was amazing! The beds were very comfortable and the kitchen was well stocked with everything we needed for cooking. I love booking with your company! Everyone is so kind and helpful. 12/18 - Enjoyed the view, outdoor fireplace, and all the games in the game room. 10/18 - Enjoyed the view and fireplaces. The company is very thorough and easy to work with. 10/18 - We like the view, the games in the home, the affordabiltiy. The staff was fantastic, helpful and on top of anything we needed. 07/18 - We enjoyed the seclusion. 07/18 - We enjoyed the game room and the beds were comfortable. Escape to Blue Ridge was great to deal with! 4/18 - Loved the view and the fireplace. 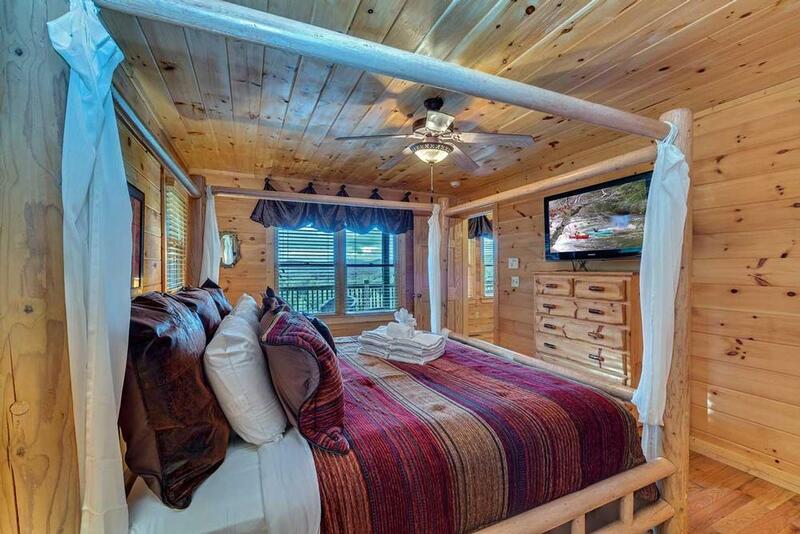 The cabin is well furnished! Very direct, easy to follow instructions. Process was very easy due to thoroughness. 3/18 - Enjoyed the view and the game room activities/games. 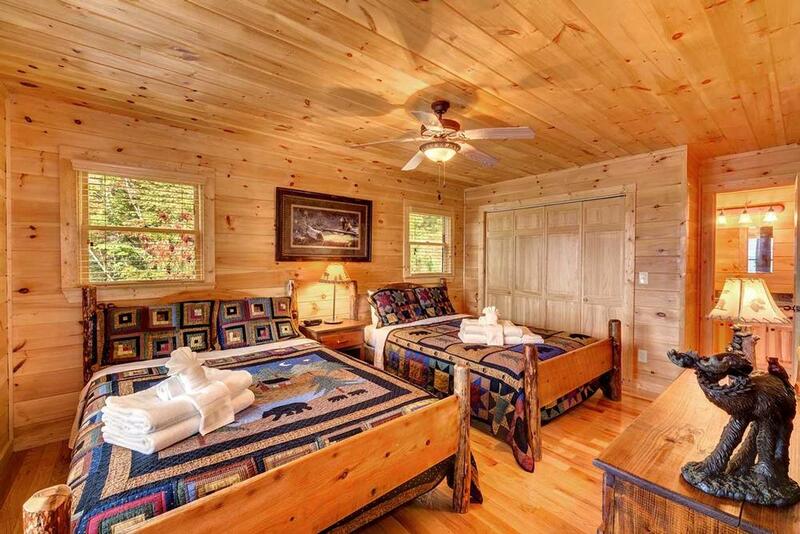 Very clean cabin. Very helpful staff. 10/17- The view was fantastic. Customer service was very good. Would definitely use again and refer to others. 10/17- It was clean and the view was incredible. I found the customer service very responsive and the rental process very easy. 08/17- Loved the view, the deck, the quiet space! Great! 07/17- Our favorite features of the home were, Mom & Dad - the sunset in the evening on the porch. 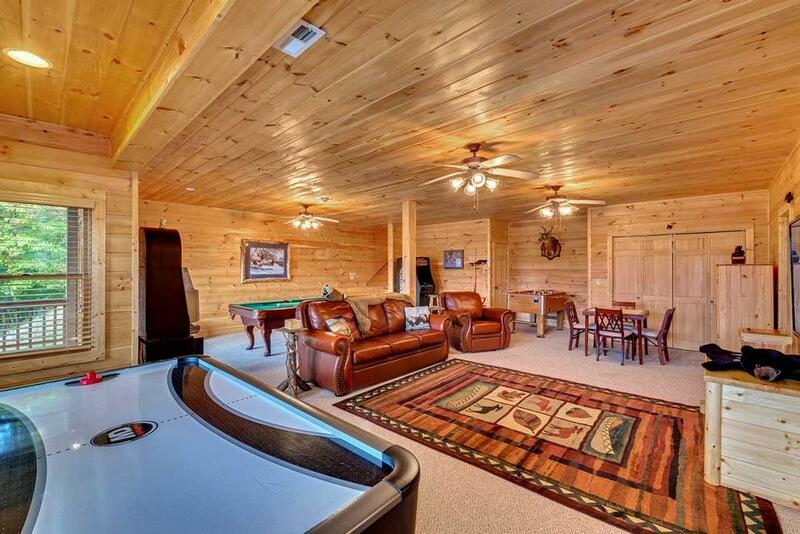 Kids - air hockey and private gaming TV area. Extremely friendly & helpful staff! 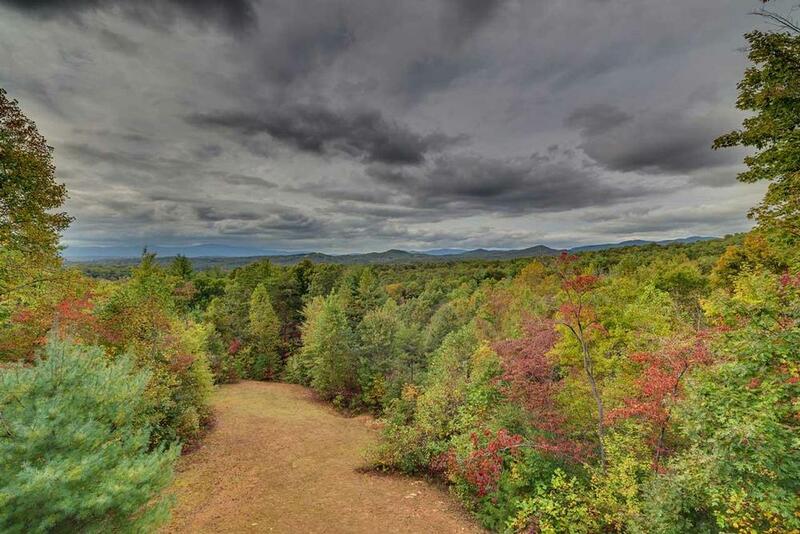 07/17- Quiet, peaceful setting; large deck and mountain sunsets; 2 bedrooms and baths on the main level; large open kitchen and living/dining areas; large game room with big screen TV. Very professional and responsive. 04/17- We loved the cabin - you didn't have to leave if you didn't want to. Plenty for the kids to do. Great! Plan to go back when it's warmer. 02/17- Our favorite features of the home were the views from the deck, the outdoor fireplace and the hot tub on the deck. Very competent. 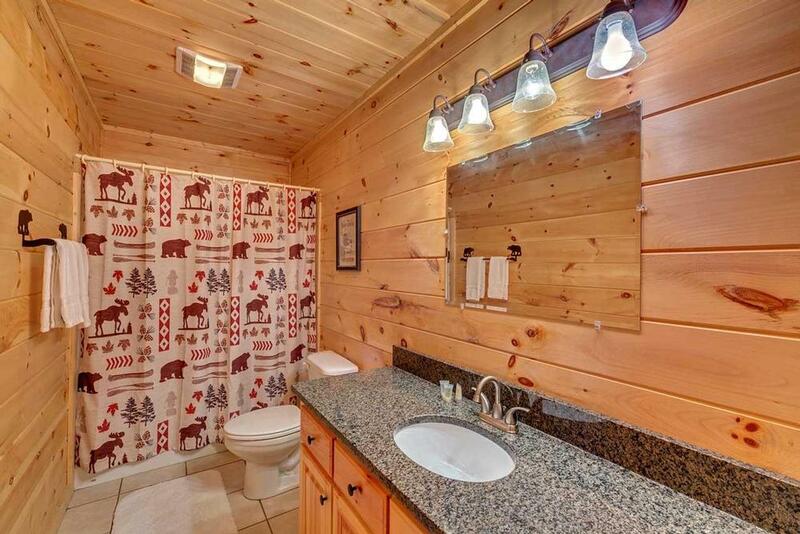 The cabin was very clean and exactly as advertised. 01/17- The home was beautifully appointed with everything you need. The kitchen is fully stocked with pots and pans plus more to make meals in the cabin. The beds were clean and comfortable. The bathrooms were very clean. I think your company was very easy to work with. From booking, to answering my numerous questions, to check-in, everything went smoothly and was wonderful. The staff are very polite, friendly, and professional. 12/16- We loved the outdoor fireplace and seating around it, the large TV downstairs and the foosball table. The bedroom decor was really cute in all three bedrooms. Good customer service. 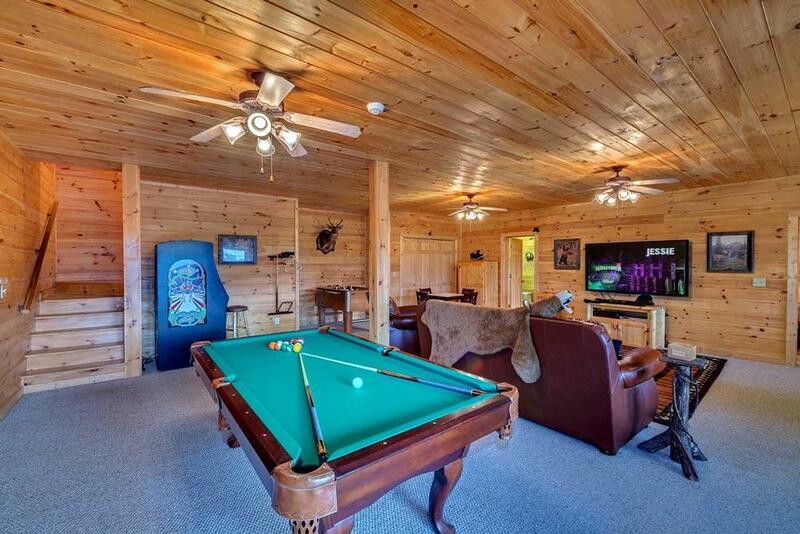 11/16- Loved the fireplace, hot tub, pool table and the video games. I was impressed with the property. 10/16- The view from the cabin was the best we have experienced considering the 4 times we had rented in the past. Have always had a positive experience with the staff. Very helpful and even though have not yet had an issue feel that they would do everything possible to make my stay pleasant. 08/16- Loved All. I am very please with the staff. Ms. Campbell was awesome and very professorial. Thanks Blue Ridge I will see you in a couple of months. 07/16- This cabin had a fabulous view. Having a game room in the basement was a great way to maintain adult sanity while travelling with 6 teenagers! This cabin easily accommodated our group of 8. Overall, we were very pleased with this rental and will definitely consider it again if we return to Blue Ridge. The cabin was very nice and had quite a few much appreciated extras. A rep from the company arrived just as we arrived. She was very personable, and every person I spoke with on the phone was very friendly. 07/16- The house location was perfect, exactly what we were looking for. 07/16- We enjoyed everything about the cabin. The kids loved the gameroom. 06/16- The sunset was amazing. 02/16- The home is just beautiful and the view is the best we've ever seen! The outdoor fireplace is perfect and we loved the private upstairs and downstairs porches. Absolutely perfect! 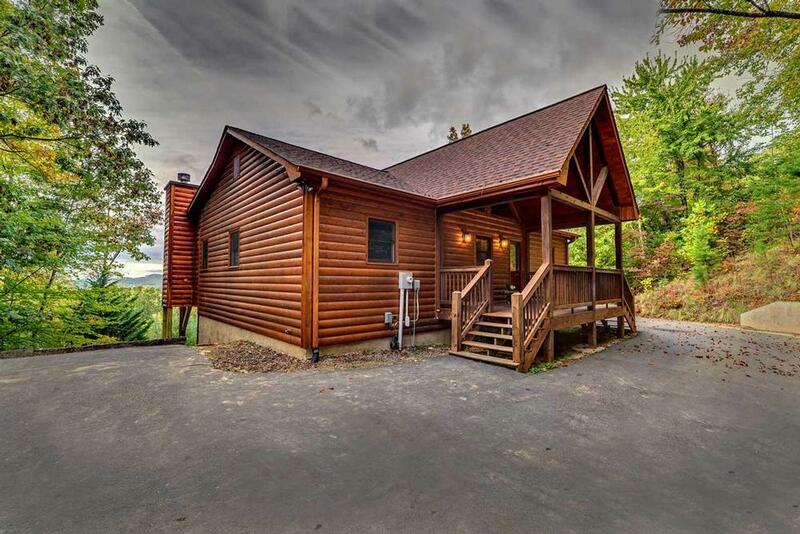 We will definitely be renting this cabin again! Great overall management, very clean, very organized and easy to understand instructions. 10 out of 10!! 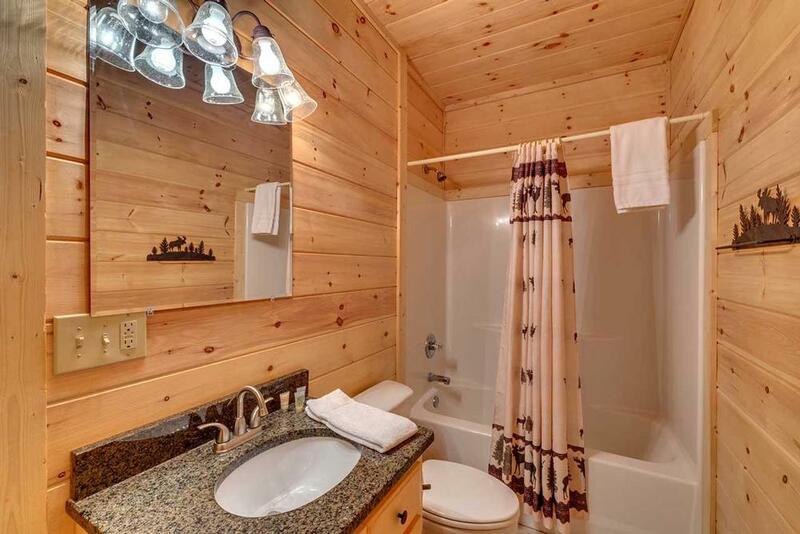 01/16- Wonderful view, hot tub under the stars, outdoor fireplace, very clean, fun decor, very private, plenty of room, plenty of very nice towels. We absolutely loved our stay!! 01/16- The layout of the bedrooms and game room were awesome. My wife loved the openness of living room and kitchen. 01/16- Very nice and homey. 01/16- Beautiful home, nice paved road and driveway and views to die for! We love Escape to blue Ridge! We have used you often and will continue to do so! 11/15- This was a beautiful cabin to spend Thanksgiving with our family .. We especially enjoyed our outside time relaxing by the fireplace ! Escape to BlueRidge is a wonderful group to work with . Always pleasant and professional ! We look forward to booking again and will recommend to friends . 11/15- Loved the spacious of the cabin and it was very clean. The view was great! 10/15- Cozy! Beautiful views, peaceful and relaxing. We love the service with Escape to Blue Ridge. We are repeat visitors and use Escape to Blue Ridge every time we come. 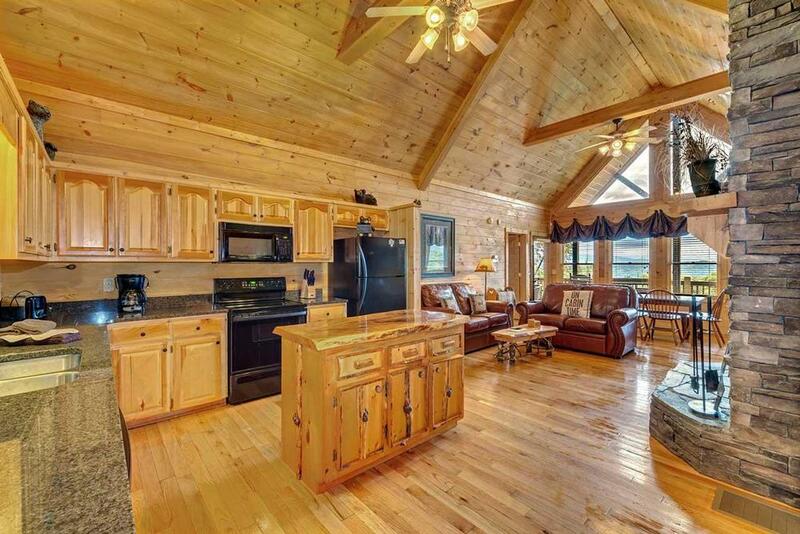 Looking forward to one day becoming permanent residents in the area and may need someone to manage OUR log home. We will definitely keep Escape to Blue Ridge in the forefront. 09/15- The view was outstanding and the cabin was awesome.It was everything and more from the pictures . We had a marvelous time and want to come back every year. I think your company is awesome and very trustworthy.Everything that was stayed in the brochures were absolute correct. I would recommend this to anyone and everyone. Thank you escape to blue ridge. 09/15- very good location and setting; accurate description of the game-room activities (enjoyed the billiards, air hockey, video game, large-screen TV, and card/board games)! 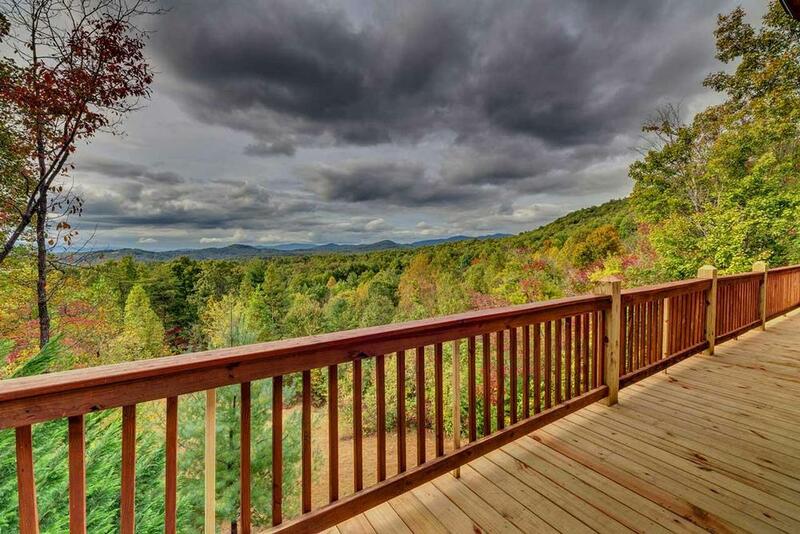 Second time renting a cabin from 'Escape to Blue Ridge.' Will return next year and tell others about our positive experience. 08/15- The location and the view were exactly as we hoped it would be. The home was very clean and the game room was the crowd favorite with the kids. The staff was very helpful and courteous. 08/15- The home was beautiful. The kids loved the game room and we loved the outside deck. 07/15- It was just like described, wonderful sunset views. It was very quiet and very family friendly accomodation. We had a wonderful, gorgeous time in the blue mountains. Your company did a great job, everything worked out very well. We have nothing to complain. We were very pleased with your welcome present. 06/15- Although the pictures made it look bigger, it was a cozy home with plenty to offer. OUTSTANDING view of the mountains and sunset! Used your company twice for weekend getaways. About to use again to book a fall trip! 06/15- The name of the cabin says it all. The view of the sun going down over the mountains in the distance was gorgeous. The sky changes colors from yellow, to pinks and purples to dark navy blue of night. We rushed back to the cabin each evening to get there before the sun set so that we could see it.I have rented with EBR 4 times now. I would not have done that if I did not like the company. We are already talking about wanting to come back again. 05/15- The view was beautiful and the amenities and games for the kids were perfect! 04/15- The play room, view, and the outdoor fireplace were the most impressive. 04/15- The jacuzzi, gameroom, and the view were the best attributes of the home. 03/15- neat, clean, all modern, everything worked, everything needed to cook in the kitchen, staff very responsive. Everyone from the moment I made initial contact and the reservation were extremely pleasant, helpful and professional. Would rent from them time and time again. 02/15- The game room & the view were our favorite features. 01/15- We loved the fireplaces both outside and in. The game room as comfortable and gave us ample space to hangout. 12/14- The view and the peace and quite. Although that road getting there could be a real problem if it snows or becomes icy. You might want to let people know before they rent in winter. 10/14- Loved having two bedrooms on the main floor. We were pleased with the service when we had a problem with the TV. Repair was speedy. 10/14- The view, the gameroom, firepit were awesome. This is my second year to use this company and definately not my last! Pleasant staff, great memories, beautiful relaxing atmosphere. Got engaged by the cozy fire with close family present! Thanks for a great vacation! 04/15- Our family loved this home. It was spacious, clean and had everything we needed for a wonderful vacation in the mountains. The kids spent a lot of time playing pool, air hockey and video games each evening and having a place downstairs to call their own was a great source of relaxation for the adults! Sunsets and smores at the outdoor fireplace was magical. Even though there were houses close by we felt like this rental was very private. Simply a fabulous stay! 07/14- The view was beautiful. The cabin as a whole was very nice and secluded. The beds were comfortable and the layout of the cabin was great.